We have a number of sizes and styles of construction bins available to our clients throughout the Wasaga Beach area. During a construction project, the amount of waste produced can be staggering. Without the proper waste containers, it’s difficult to keep up with the materials that can come from even a minor renovation. When you consider a number of construction materials that are needed for a full building project, it will quickly become apparent that you need containers to store the waste. But buying the bins can become very expensive, and you won’t need them anymore once the project is complete. Even construction companies find the cost of bins to be quite high. It’s also challenging to find a place to keep the bins when you’re between projects, requiring a lot of extra space in your warehouse. Instead of worrying about storage space or buying various sizes of bins, simply rent construction bins from us at Guaranteed Services. We have a number of sizes and styles of construction bins available to our clients throughout the Wasaga Beach, Ontario area. When you arrange for a construction bin delivery, we’ll bring the bin to your job site and place it wherever you’d like it stored during the work. From there, you can fill the bins with construction materials and give us a call as soon as they’re full. Our team will then pick up the bins and dispose of the waste properly, freeing up more time for your staff to focus on other tasks. 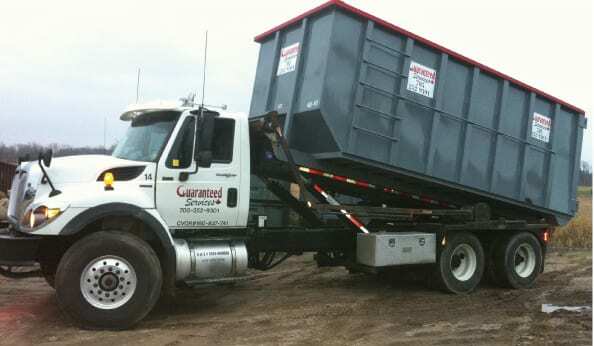 Give us a call to schedule a delivery of construction bins at your job site to simplify the process of waste disposal. We look forward to hearing from you! 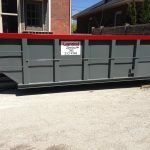 At Guaranteed Services, we offer rentals of construction bins in Barrie, Innisfil, Collingwood, Orillia, Wasaga Beach, Angus, Stayner, and Midhurst, Ontario.